In May of this year, we announced the launch of our new platform, designed to bring simplicity and order to millions of small businesses worldwide. Today, we’re pleased to announce a new addition to the platform in line with this promise: Infusionsoft invoicing. Our invoicing feature ensures Infusionsoft customers get paid faster and more frequently. According to the small business financing platform Fundbox, the estimated total amount in unpaid invoices across all U.S. small businesses is a whopping $825 billion. Additionally, 81 percent of small business invoices are 30 days past due, and it takes an average of 21 days for an invoice to be paid. You can do better. While those numbers may seem large, they’re sadly not surprising. 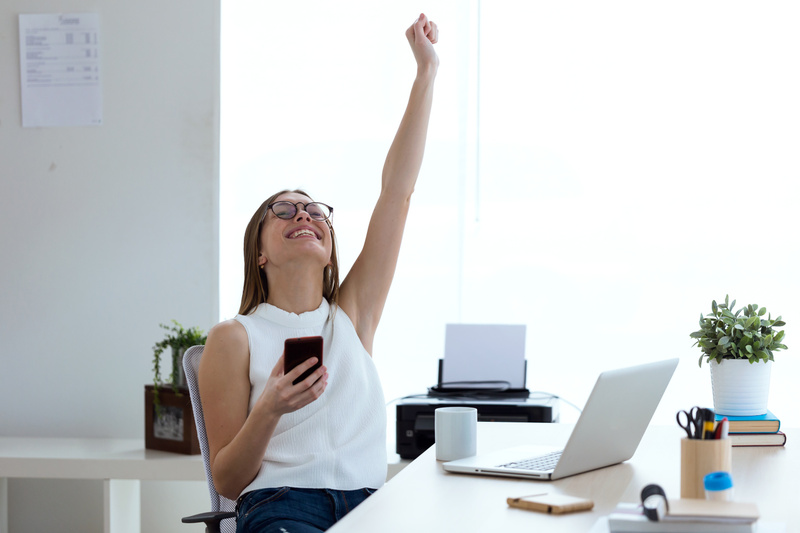 Time is one of the most valuable and limited resources for small businesses, and few have enough of it to manually create and send professional-looking invoices manually, or collect and process their payment. 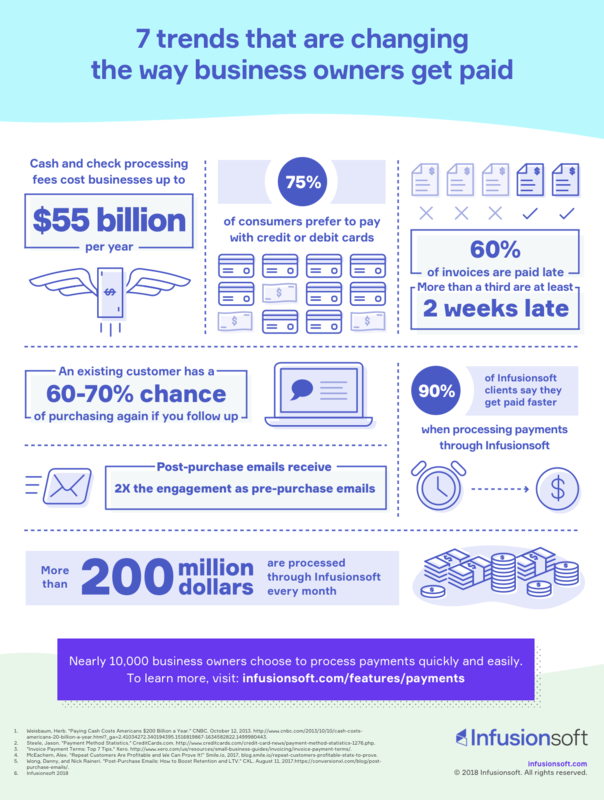 With so many other elements of running a small business that need attention, it’s inevitable that keeping up with payments will fall through the cracks at some point. Infusionsoft invoicing helps to stop all that. This new feature eliminates the need for small business owners to determine which payments are outstanding, then chase down each individual customer for payment. This addition to our platform lets Infusionsoft users create branded, professional-grade invoices for easy, online client billing, while keeping track of their customers’ debts automatically. It’s also tied to your customer information, so you can monitor which invoices have been sent, viewed, paid, and are overdue—and set reminders to your customers based on their actions—all in one place. Recent research shows that 75 percent of consumers prefer to pay with debit or credit cards. With Infusionsoft’s business management platform, users can tie invoicing to Infusionsoft Payments to accept debit and credit payment online via a “Pay now” button on the invoice or send electronic automated payment requests. Users can also accept payments over the phone, email, and in-person with our Bluetooth card reader. This makes the payment management process more seamless overall. Infusionsoft invoicing is just the beginning of the investment we’re making to help small businesses close more business and get paid faster. Stay tuned as we continue to build and unveil new features that are designed to bring simplicity and order to small businesses worldwide.